Tom Leahy, who teaches social studies at the Conway Springs Middle School in Kansas admits he made some mistakes. He showed teens a film depicting suicide. He showed teens a film that specifically called out the Catholic Church for criticism. He did not give them warning, a chance to opt out, and he did not have their parents’ permission to show the film. He made some mistakes because he was deeply disturbed by the bullying and homophobic culture he saw evidenced by his eighth graders. As he sought to drive home the point, he cut some corners, which have now landed him in trouble. Here is why he was so stressed to impact the point of view of his kids: a recent social studies exercise had gone horrifically wrong. He had split the students into groups and told them that they were each a fictional colony. They were to develop their own Bill of Rights, and lay out the principles on which to build their societies. He expected kindness and fairness. What he got was homophobia. At least one of the colonies declared it would ostracize LGBT people and reject them from their world. Leahy saw some deep, hurt reactions from other students, and that motivated him to want to change attitudes immediately. So he showed them all the viral video film “Love Is All You Need,” by Kim Rocco Shields, in which the world is reversed and it is heterosexuals who are the bullied and persecuted. The film is no holds barred in its depiction of the damage of bullying. “I didn’t want just a dorky little film, I wanted something that was important, something that was serious. So that’s the one I came up with. I’m not saying what I did was very smart. It really wasn’t, but I’m a spur-of-the-moment kind of guy, and it seemed right at the time,” Leahy told the Witchita Eagle. Mr. Leahy, you must not resign. Dear board members, you must not allow him to do so. Whatever problem you think you are fixing by taking this action is minuscule compared to the problem you are creating. You are letting the bullies win. No, I am not calling parents, who want to approve of graphic material before it is shown to their kids, “bullies.” They are due an apology, and a promise that such action will not take place again. They were not the bullies that Mr. Leahy was fighting, however. He was going up against the principles of judgment, intolerance, ostracism and degradation. He was addressing a disease that is evidenced in your population of kids. While his choices were not well thought out, the harm he was seeking to prevent should be a much higher priority. I am the gay dad of two seventh graders. The colony exercise that took place, in which a mob had declared they would reject their dad from the world, would have devastated and shamed them. They would have suffered in silence, but the harm would go deep. So too, was the harm felt by a number of your LGBT students. They, in various stages of self awareness, are also likely hidden from you. That does not mean you are free to cease protecting them, it means you have even a greater responsibility to do so. I am sure you found that the suicide of the lead character, in the film Mr. Leahy showed, disturbing. What is more disturbing is that the spirit of who she represents IS real, and in your population. She is my kid. She is the LGBT kid. She is every child that does not fit the mob mentality “norm.” By your inaction, and condemning of Mr. Leahy for his attempts to reach these kids and defend them, you are signaling for them to listen to their darker instincts. You are inspiring them to hide, to self-harm and even kill themselves. Did you ask parental permission to do THAT? Mr. Leahy, I don’t know what pressure you are under to resign, but you must resist it. What you did in showing the film at risk to yourself was heroic. Your job is incomplete however. 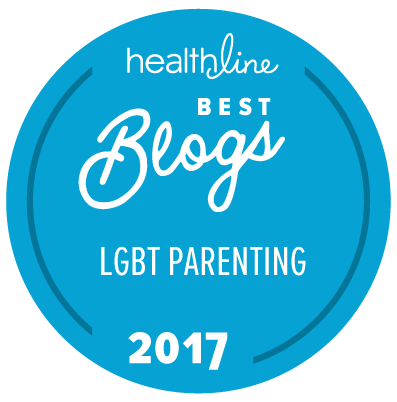 Your community has diverted the topic from homophobia to parental notification procedures. You need to right that course, the conversations need to be had, and rectification measures need to be taken. The real lesson still needs to be learned. If not, the film you showed will not be just a conversation starter, it will be a prophesy. Your sacrifice will have been for nothing. Conway School District contacts are here.